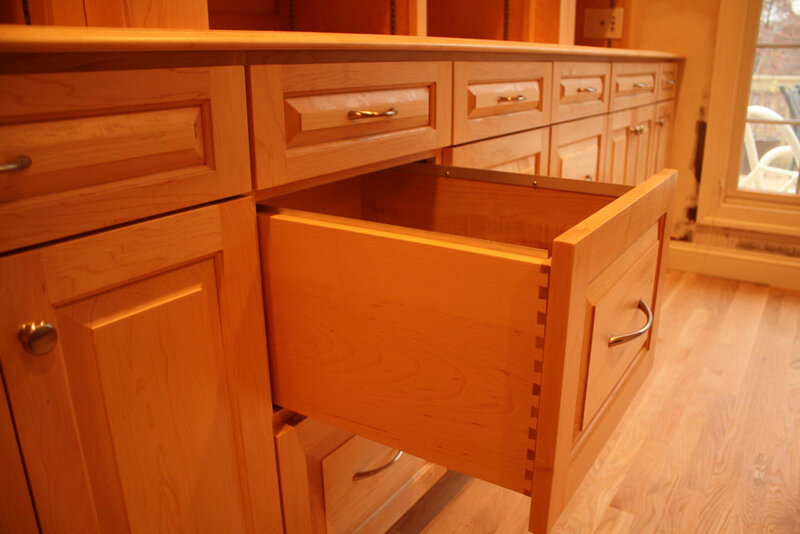 Custom Cabinets — Heirloom Builders, Inc.
At Heirloom Builders, Inc., we cut our own lumber. And build cabinets, built-ins, and the furniture you need to complete your home. Our lumber comes from small forest or fence-line clearings, and tends to have beautiful character, burl, and vivid color. By nature, our projects have a story. We cut logs from the site - and made our own lumber to build these cabinets! Our team of Carpenters works together to build custom cabinets and furniture for our homes. Where ever we cut our lumber, it always comes back to the solar kiln, located near our cabinet shop in Silk Hope. As soon we know how much- and what type-of wood we need for a project, we pick up the lumber and load up the kiln. It takes between 2 weeks and 2 months for lumber to dry enough to build with (depending on wood species and thickness). From there, it goes to our cabinet shop for milling and assembly. We have created a SYSTEM, a detailed Operations Protocol, to help streamline the decision-making process that is often very complicated in custom work. This system empowers our Project Managers to maintain efficient workflow and helps Apprentice Carpenters gain valuable skills in short time. Bt streamlining the process, we achieve high-quality building while lowering our environmental impact. Our solar powered kiln dries lumber for cabinets and furniture!